Hello paper crafters! Here in Wisconsin, snow has covered the ground giving us lots of opportunities to go sledding, ice fish, and make good looking snowmen. 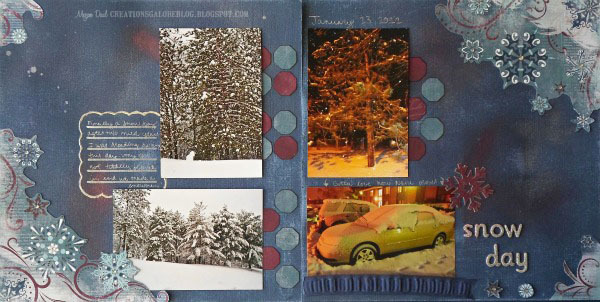 We're embracing all this snow by sharing two winter layouts from Creations Galore customer, Megan Daul. 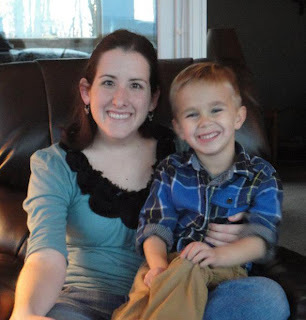 Megan is from Green Bay, Wisconsin and has contributed to our Customer Spotlight posts before. You can find more of her creations by visiting her blog, Creative Happiness. Now let's take a look at these projects! 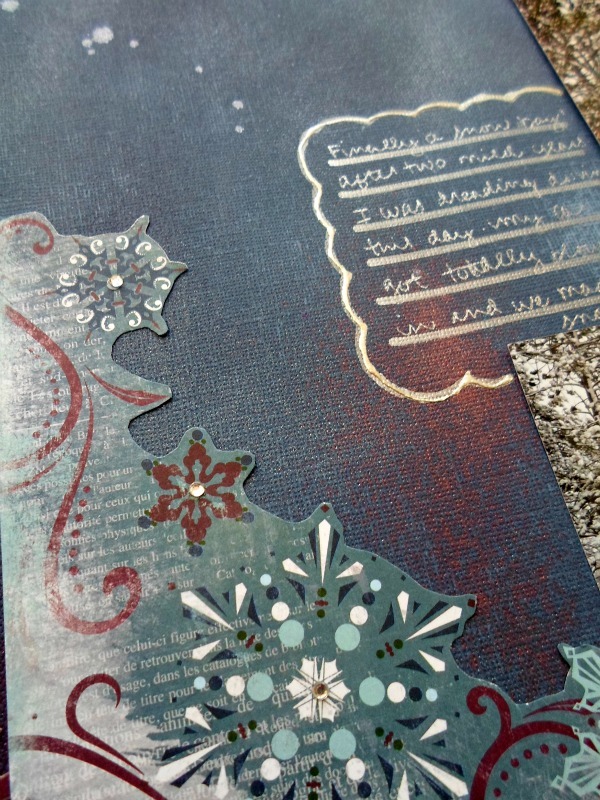 Both are two page layouts and feature Bo Bunny papers, Glimmer Mists, and lots of snowflakes! We love Megan's use of spray inks with these layouts. As you can see, the mist still shows up on dark cardstock, creating a shimmery, colorful background. It makes us feel like we're in the midst of the blizzard, with the spray ink wisping through the layout. 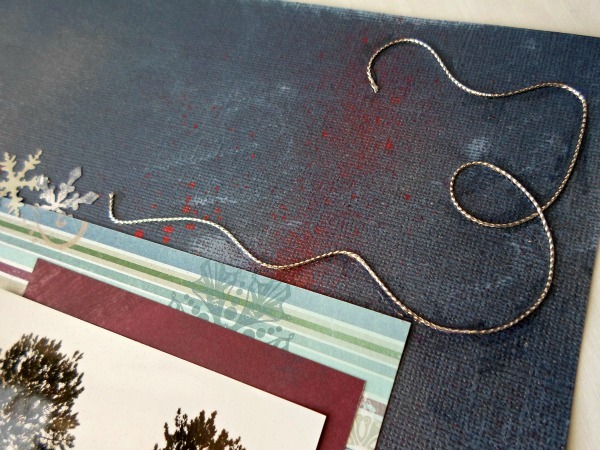 How creative is the use of silver cord as an embellishment? Megan used Glossy Accents to easily add the ribbon in fun loops around the layout. Here's Megan's second layout. She stuck with the same color scheme, papers, and mists; however, incorporated a few other elements with this layout. 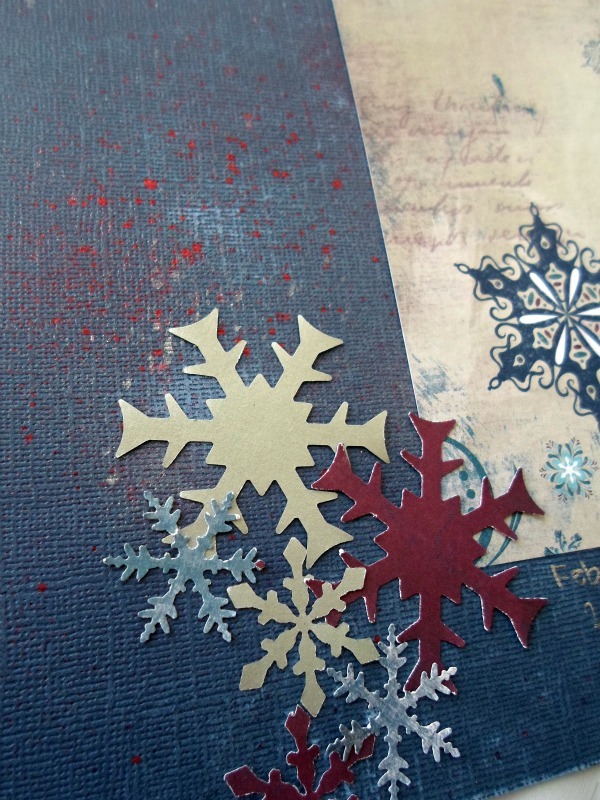 For example, she cut out snowflakes from the patterned paper and used them as single embellishments. In addition, she used a fun ribbon instead of cording. 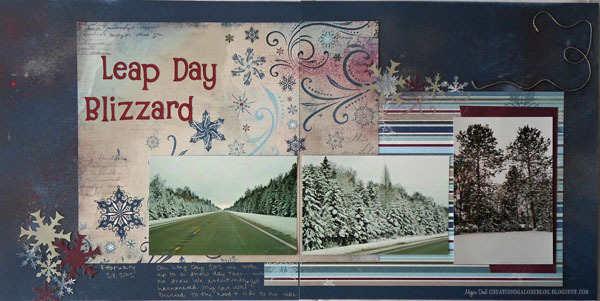 We love how Megan cut around the snowflakes in the corner of a patterned piece of paper and layered it onto solid cardstock. She also added clear rhinestones to the center of each snowflake. A big thank you to Megan for sharing her gorgeous snow-themed pages with us today! We hope you've been inspired to document your winter activities!